In 1993, tensions on the Korean peninsula rise to crisis levels with news of North Korea’s nuclear program. 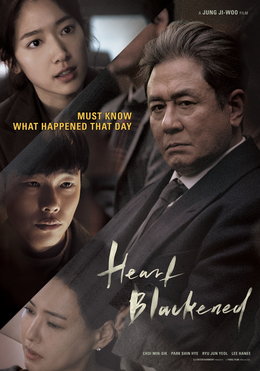 A former military officer, Suk-young Park is recruited by South Korea’s National Intelligence Service as a spy with the code name “Black Venus”. He is then sent to infiltrate a group of high-ranking North Korean officials based in Beijing, with the ultimate goal of acquiring information on the North’s nuclear program. Posing as an entrepreneur looking to do business with the North, he becomes close to Myong-un Ri, a key power broker, and succeeds beyond his wildest dreams of gaining the trust of North Korea’s leadership. But political machinations on both sides of the border threaten to derail his accomplishments. 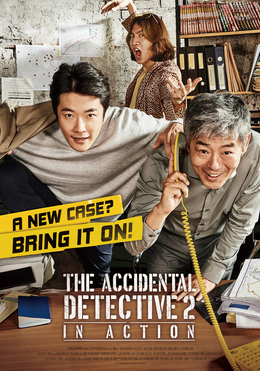 A true-crime fanatic, Dae-man, and former veteran cop, Tae-su, set up a detective agency to forge new career paths as full-time private detectives. Despite their high hopes, they soon find themselves with only trivial cases such as spouse infidelity, unpaid debt, and missing cats. Then one day, a woman walks into the office, wanting to find the truth behind the death of her fiance. Not only that, she also offers them a handsome reward of 50,000 dollars. 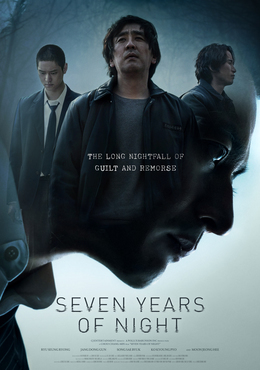 Dae-man and Tae-su see it as an opportunity to put their true detective skills to work. 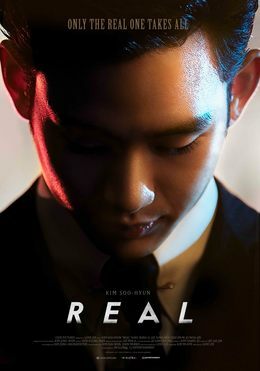 They bring onboard a third member, Yeochi, a Mensa genius who has superb cyber investigating skills, and together they launch a full-fledged investigation on the case. As they dig into what initially appeared to be a straightforward case, disturbing new evidences turn up. Hyun-su is to take the position of the security manager of a dam located in the remote village of Seryung. On a foggy night, he gets lost on his way to check out the company residence that he and his family will soon move into. As he struggles to find his way through the thick fog, he runs over a girl who jumps out of nowhere. Panicked, Hyun-su makes the wrong decision and dumps the body in the lake. The village is turned upside down by the child gone missing. 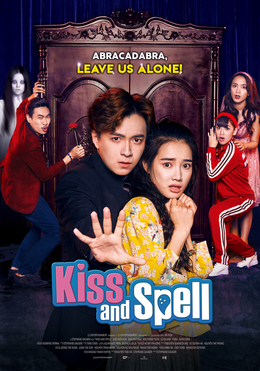 When the girl’s body is found in the lake, Young-je, the girl’s abusive father and a major landlord in the village, is enraged and begins his own search for the killer and plans an elaborate plot to take his revenge. A warm-hearted and hard-working delivery man, Gun-woo, gets his 15-minutes of fame when he is named the Model Citizen. His old high school bandmate, Moo-yeol, gets in touch, and during their long overdue reunion, a presidential candidate gets assassinated in front of them in a horrific bomb terror. Amidst the chaos, Moo-yeol tells an unbelievable story that this is a set-up, and Gun-woo is supposed to take the fall as the assassin. Moo-yeol, telling him not to trust anyone, gives a name card to Gun-woo and kills himself. In an utter shock and confusion, Gun-woo scrambles from the scene but becomes a wanted fugitive as the killer of a presidential candidate. From surveillance camera to finger prints and eyewitnesses, fabricated evidence points to him as the terrorist. 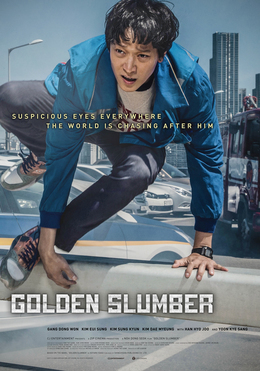 Gun-woo seeks the man on the name card, a former operative, and gets his help to escape but as the invisible force closes in on him, his friends and family are exposed to danger. 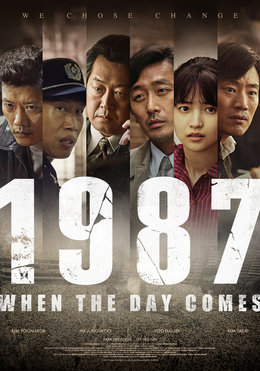 In 1987 Korea, under an oppressive military regime, a college student gets killed during a police interrogation involving torture. Government officials are quick to cover up the death and order the body to be cremated. A prosecutor who is supposed to sign the cremation release, raises questions about a 21-year-old kid dying of a heart attack, and begins looking into the case for truth. Despite a systematic attempt to silence everyone involved in the case, the truth gets out, causing an eruption of public outrage. Murat and Duygu have been together since they were kids. As their college graduation draws near, Murat surprises Duygu with a marriage proposal. Duygu rejects the proposal so that she can pursue the dreams she wants to fulfill before getting married. So they make a deal to meet again in five years and get back together if neither has met someone else. Life, however, has many surprises in store for the both of them. In 1636, Qing China invades Korea with 150,000 soldiers. 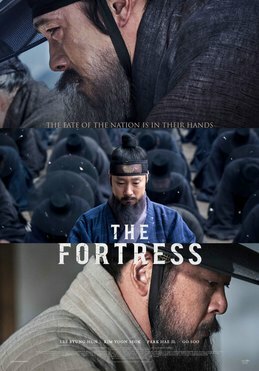 The Korean court flees the capital to take shelter in the Namhan Fortress, located in treacherous mountains outside the city. The Qing army, led by General Ingguldai, quickly surrounds the fortress, leaving the king and the court stranded in a prolonged standoff. For a truce, the Qing general makes a humiliating proposal of bringing the Crown Prince out as hostage. Unable to move forward or fight the outnumbering enemies, the people of the fortress start dying from cold and hunger. Between the Minister of the Interior, who emphasizes the king’s duty to protect the lives of his subjects regardless of humiliation, and the Minister of Rites, who maintains that they must fight to death for the greater cause, the king must make a grave choice. Rini has been living in her grandmother’s in the countryside with her parents and three younger brothers since they had to sell the house uptown to get medication for her mother, who has been mysteriously ill for more than three years. After her mother dies, Rini’s father goes to a faraway town to work. Evil entities haunt Rini’s house and start to terrorize her and her brothers. Rini traces back the roots of the evil and learns that her family was involved in an unholy pact in the past. She must face the horrifying truth from the past to stay alive. Tung, a street magician, meets a dismal girl, Phuong, who inspires him to create a “horror magic show”. The show becomes widely popular, and Tung becomes a successful magician. Phuong starts to work for Tung, playing the specter in his show, but she always isolates herself from all the colleagues. Tung figures out why Phuong always looks dismal and mysterious. It’s because ghosts come to her all the time, asking for help to move on to heaven. Phuong has been seeing ghost since she survived from a bus accident in high school. In particular, the vengeful ghost of her best friend Van, who died in the accident, follows her everywhere, scaring people around her relentlessly. Everyone left her, even her family. She could only speak to a few friends on the phone. Despite the fact that Tung is scared of ghosts, he starts to hang out with Phuong more, and they both develop feelings for each other. Tung starts dating Phuong, which makes Van consumed with jealousy. 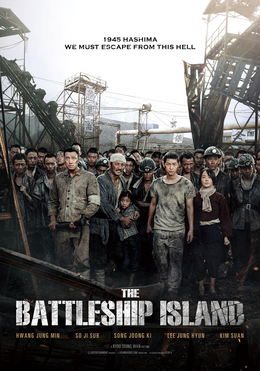 As World War II nears its end, the small island of Hashima (nicknamed "Battleship Island") off the coast of Japan is the site of a massive coal mine, where 400 Koreans lead bleak lives as conscripted laborers. Tensions run high between the Japanese soldiers who maintain order with shocking cruelty and violence, and the Koreans from all walks of life who were tricked or forced into coming there. 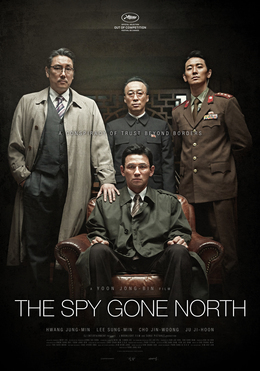 Then, just as the island's dark secrets are revealed, the Koreans plot a daring escape. CJ ENM Center, Sangamsan-ro, Mapo-gu, Seoul 121-904, Korea. Copyright © CJ ENM CORPORATION, All rights reserved.